This week, I, CULTURE Orchestra embark on a three-date summer festivals tour. The tour marks our first collaboration with the orchestra, which was established in 2011 by the Adam Mickiewicz Institute in Warsaw and brings together young musicians at the start of their career from Poland, Armenia, Azerbaijan, Belarus, Georgia, Hungary, Moldova and Ukraine. 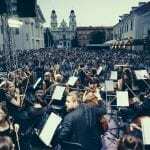 Since its founding, 600 musicians aged between 18 and 28 have participated in the project, performing at some of the most prestigious venues and festivals in Europe. This year is no different, as the 2018 tour includes performances at Festival Radio France Occitanie Montpellier, Concertgebouw Amsterdam’s Robeco SummerNights, and at Tivoli Garden’s Summer Classical series. 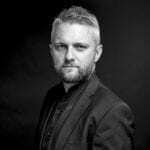 Conducted by the orchestra’s Artistic Director Kirill Karabits, and joined on stage by violinist Nemanja Radulović, they present three programmes, with works by Tchaikovsky, Khachaturian, Karajev, Prokofiev and Stravinsky. In addition, the orchestra will perform at The Royal Castle in Warsaw on 22 July. 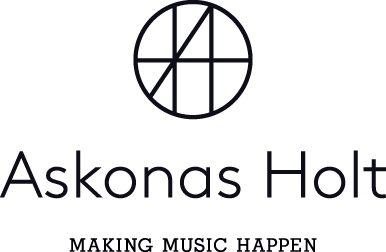 It is a huge pleasure for Askonas Holt to be partnering with the orchestra, and to work on a project that brings together a community of musicians from different counties, that transcends geographical and historical boundaries, and bridges cultural and political divides.